iQ Renew has merged with Stop Waste, owner and operator of recycling facilities in Australia. iQR will be one of the first companies globally to combine physical and chemical recycling, at a time when the world is searching for new recycling pathways following China’s effective ban on imported foreign waste. In CY2018, Stop Waste made an EBITDA of approximately A$9M and totals 60 people (employees and contractors). Through the merger, Licella have a pathway to earn up to 32% of the iQR business. As part of the overall transaction share swap, Stop Waste Holdings, owners of Stop Waste, have also made an investment into Licella. iQR now owns and operates the portfolio of Material Recovery Facilities (MRFs) and secondary processing facilities on the NSW Central Coast, an hour north of Sydney, Australia. These facilities include two for primary recycling (sorting), and two for secondary recycling (processing single streams for re-manufacture). Combined, iQR’s facilities process over 100,000 tonnes per annum of recovered resources, collected kerbside by councils. 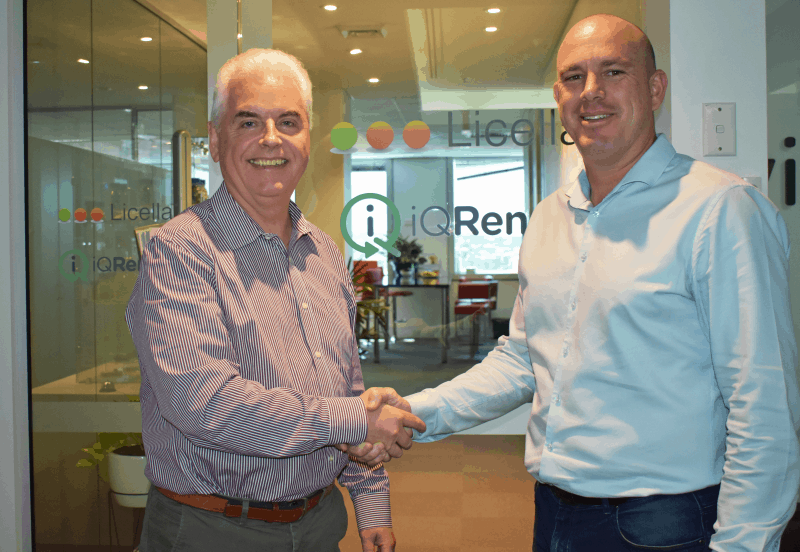 In addition to its physical recycling operations, iQR have the exclusive licence to Licella’s (www.licella.com) Cat-HTR platform for End-of-Life Plastic and End-of-Life Tyres in Australia and New Zealand. Moreover, Licella and iQR’s new global joint venture, iQ Renew Wood Recycling, is an exciting opportunity to extract value from construction and demolition (C&D) wood waste. To support both opportunities, iQR are committed to funding and building a commercial scale Cat-HTR plant in the next 18 months. As part of the partnership, Mr Danial Gallagher, founder of Stop Waste, has been appointed CEO of iQR, and will also join the Licella Board as a Non-Executive Director. Mr Gallagher brings with him extensive experience and expertise in the Australian and global Resource Recovery sectors. iQR has a number of organic and acquisitive expansion plans that will be rolled out during the course of 2019. By investing in its primary and secondary processing facilities, and building towards its Cat-HTR chemical recycling facilities, iQR is committed to recovering more and wasting less – offering intelligent solutions to resource recovery. For more information, see the iQR Fact Sheet available here.